SAN DIEGO (Aug. 3, 2017) – A woman working two minimum wage jobs while trying to feed her children, a refugee attempting to find safety and make a life in America, and a victim of sexual assault … These are just a few examples of those helped by the San Diego County Bar Foundation’s annual grants. Grant applications for 2018 are due Sept. 1. Awarded to local organizations who offer legal services and promote understanding of the legal system, the funds assist victims of poverty, abuse and discrimination. The grants also support programs that educate adults and children about the legal process and individuals’ rights and responsibilities. 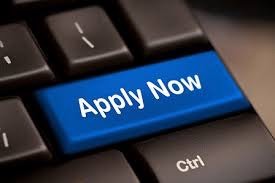 The SDCBF will be accepting applications for two grant programs this year: The General Grant Cycle facilitates and expands the availability of legal services, improves the administration of justice and the San Diego court system, and promotes public understanding of the law. The Indigent Criminal Defense Fund provides funds exclusively to further Indigent Criminal Defense purposes, including programs, projects and activities that give legal services to those who are homeless or cannot afford assistance. The Foundation’s funds come from contributions from San Diego’s legal and business communities and from fundraising programs throughout the year, including its annual fundraiser, “An Evening in La Jolla,” coming up on Saturday, Sept. 23. Since its inception, the SDCBF has granted more than $3 million throughout San Diego County. Organizations interested in applying for a grant can read the guidelines and submit an application at: https://sdcbf.org/grant-programs. No Replies to "San Diego County Bar Foundation Announces Call for Grant Applications"